Margaret Hall represents adoptive parents and birth parents in domestic adoptions. An adoptive parent herself, she has been on the forefront in the hundreds of successful adoptions in New Hampshire. Her clients have praised her in the highest terms and many have adopted more than one child. Her concern and care for her clients has made her very successful at understanding and meeting the needs of adopting parents and birth mothers and other family members involved in the adoption process. She has also been a consultant to many foster families as they transition to adoption. This free Building Your Family: 2016 Donor, Surrogacy, and Adoption Guide digital download provides 60+ pages of practical expert advice that you may find very helpful. It also includes a listing of donor, surrogacy, and adoption professionals. Attorney Hall has a busy on-going adoption practice and finds frequently she can place more new born babies than she has families. It is simply not true that there are very few domestic US adoptions or that it takes years to get matched and adopt a baby. Some of Attorney Hall's clients after meeting her for the first time meet again within just a few weeks or months with the baby who has been placed safely in their home. of The Adoption Community of New England (ACONE) for many years. Hand in hand with adoption is the fast growing field of Assisted Reproductive Technology. Attorney Hall has been building a solid foundation in this field as well for clients who are able and willing to use reproductive technologies. 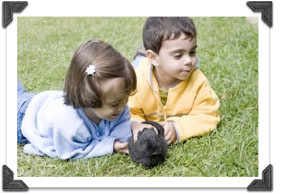 Attorney Hall has been involved in children's interests for the last 25 years. She has represented children through many transitions, especially during difficult family separations. She has served on the boards of local community service organizations. She is a member of the American Academy of Adoption Attorneys since 1995. She served on the protocols committee that rewrote the New Hampshire adoption statute. Attorney Hall has a special interest and expertise in Adoption. She has made presentations at many of their annual conferences on the topic of New Hampshire Adoption law. She has been a Continuing Legal Education presenter/panel member for programs for the New Hampshire Bar Association. She has been devoted to promoting adoptions in New Hampshire for many years and has been one of the leaders in helping to foster the current climate for adoption in New Hampshire. 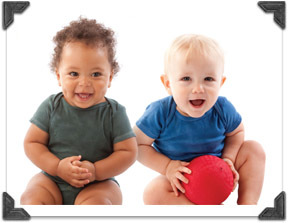 Click here for more information about adoption in New Hampshire, and click here for helpful links and resources. or get more information about adoption?